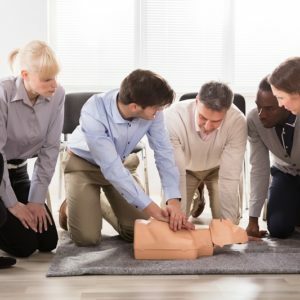 The new year is almost here, and it’s time for employers to start planning CPR classes for their employees, whether it’s for a first-time or renewal certification. Kansas City First Aid has many classes, both in public locations, and will also come to your location to teach CPR classes. With the onsite classes, you are able to select the CPR training class most relevant to your needs of your employees. Subject to instructor availability, with a minimum class size of six participants, you are able to select the date and start time. As the employer, you must guarantee a minimum of six participants for onsite training. We can accommodate up to 24 participants in any one class, but that is dependent upon your training room. We have public classrooms throughout the metropolitan area that are available should you not have adequate training facilities at your location. We can schedule additional classes to accommodate any number of your employees. If your organization cannot guarantee the class minimum; may we suggest you send your employees to our regularly scheduled courses open to the community. Click here to view our community CPR and First Aid training calendar. If KC First Aid comes to your location, we will need a TV/DVD player, a conference room type table or folding tables, and chairs for each employee who will be receiving training. Manikin practice for CPR classes is done on tabletops now, no more getting down on the floor to practice! Travel expenses may be assessed to onsite training outside a 60-mile radius of Shawnee, Kansas, where our office is located. We do travel nationwide. Call our office for a quote at (913) 980-5245 for information. To begin the process of CPR classes for your employees, pick two dates and a start time that work for your organization – one will usually work within our schedule. Training is not available on Sundays. Weekday, evening, and Saturdays are available at your request. We accept all major credit cards when the payment is received in advance. 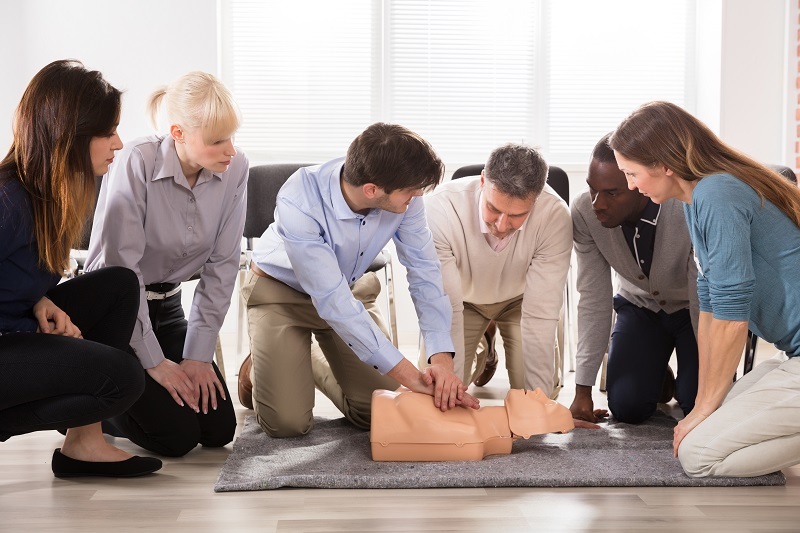 Schedule your CPR classes for your employees for onsite training by sending KC First Aid an email at customerservice@kcfirstaid.com, or call our office at (913) 980-5245.